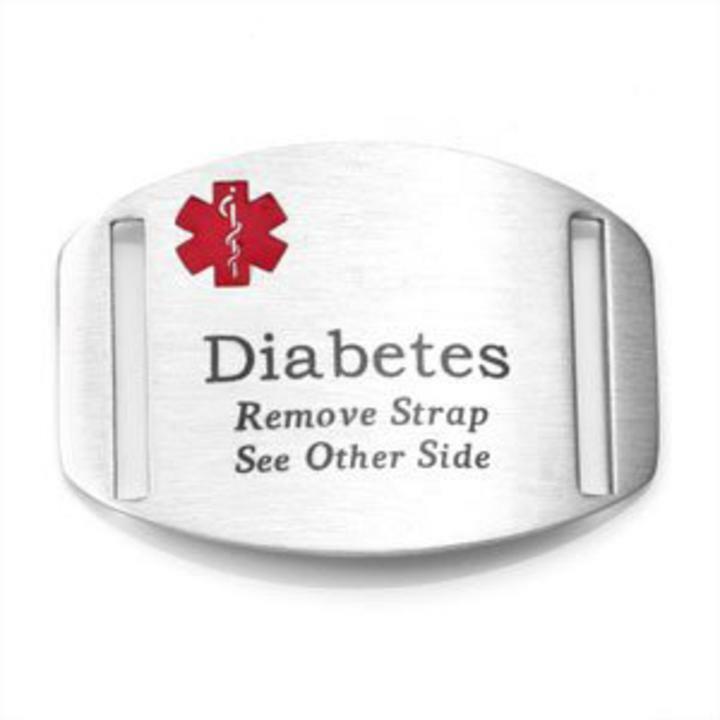 Our stainless steel pre- engraved Diabetes medical Id plate will fit our sports band strap 2 and our adjustable hook and loop style bands. This can be with up to line 6 on the back.Free Black Laser Engraving. The medical id slide plate is made of 316L surgical stainless steel. You can purchase the bands that fit this on our accessory page or from the drop down below. The first straps shown are pur adjustable fast strap hook and loop style and the rest are our sports band strap 2 style. 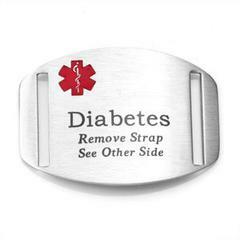 Our rectangular medical id alert slide plate measures 1 3/8 x 1 inch .